ASME Codes give stipulations and guidelines for the design. materials, manufacture and testing of pressure vessels. These are issued by the American Society of Mechanical Engineers. New York. The codes were first issued in 1915. Since then, many changes have been made and new sections added to the code as need arose. It is a Live code and is revised and updated periodically. It keeps pace with time and is responsive to its users. Welding rods, electrodes, filler metals. Care and operation of Heating Boilers. Rules for care of Power Boilers. Division 3 - Rules for constructive of High Pressure Vessels. Fiber glass reinforced Plastic Pressure Vessels. Rules for in service inspection of Nuclear Power Plant Components. ASME Issues completely new edition of all sections after three years on 1st of July of the year of issue. Latest edition issued on : 1st July 1998. Addenda to the latest edition are issued on 1st July every year. 1998 Edition with 1998 Add. - 1st July 98. 1999 Addenda - 1st July 99. 2000 Addenda 1st July 2000. A fully revised edition incorporating all above addenda would be issued on 1st July 2000. Prior to July 1998, all addenda were being issued on 31st December of every year. The editions and addenda become applicable after six months from date of issue. Thus, 1st Jan. 2000, the construction of Pressure Vessels shall be as per 1998 edition and 1999 addenda. However, for old contracts spilling over beyond 1st Jan 2000, the old applicable edition and addenda are valid. ASME issue written replies know as “Interpretations” to the inquiries concerning technical aspects of the code These are issued twice in a year (July and December) and are sent to “Edition - subscribers” as up-date service. Boiler and Pressure Vessels committee meets regular1y to consider proposed additions and revisions to the code. At the same time it may formulate code cases to clarify’ Intent’ of existing requirements. These are published as code-Case books. It is published along with new editions and supplements are automatically sent to subscribers of code case book till new edition is published. Certificate of authorization to use stamps is granted by A5ME. These stamps represent the code symbol. Typical code symbols are U, U2, 5, etc., Manufacturer’s facilities and organization are subjected to’ joint review by representative of inspection agency and ASME Designee before granting authorization. The ASME Codes have attained legal status in most of the American States, who have adopted them and made them mandatory Codes of practices in the interest of safety. All the boilers and pressure vessels made to ASME Code Section I (power boilers), Section VIII Div. 1 and 2 (unfired pressure vessels) and Section III (nuclear vessels)., need to be fabricated by approved Works who hold code stamps in recognition of their operating quality system. These equipment's are inspected and certified by qualified ASME Authorized Inspectors. Every ASME Code starts with specifying the scope of the code in terms of capacity, size and pressure and other limitations if any. It also deals with and the battery limits and the areas of code jurisdictions. The Codes categorize and classify acceptable grades for materials of construction, for specific applications covered by the codes. The codes also identify and categorize various methods of construction I fabrication. The codes specify the required N.O.T: and other inspections. They also specify the accept I reject criteria. What is most important about the ASME Code is. that is covers a vast field of manufacturing activity without sermonizing. They are user friendly, and keep pace with changing technologies. No wonder - the Users and the Manufactures world over have adopted the ASME codes whole heatedly. There are more boiler and pressure vessels built under AS ME codes than those under all other codes taken together. The participants are advised to refer the actual code clauses and extract information from the latest codes applicable. ASME code is even evolving document and one has to refer to the latest applicable edition and. addenda. These notes will help in understanding the code, and should not be referred to as the “Code” it self. Includes rules and general requirements for all methods of construction of power, electric and miniature boilers and high temperature water boilers used in stationary service includes power boilers used in locomotive, portable and traction service. pressure parts connected directly to the boiler without intervening valves are considered as part of the scope of Section 1. A service Section to the other Code Sections providing material specifications far ferrous materials adequate far safety in the field .of pressure equipment. These specifications contain necessary tables, diagrams and appendices as well as requirements for heat treatment manufacture, chemical test requirements and mechanical properties, test specimens and methods of testing. These specifications are designated by SA numbers and are derived from ASTM ‘A’ specifications. A service Section ta the other Code Sections providing material specifications for nonferrous materials adequate for safety in the field of pressure equipment. These specifications contain necessary tables, diagrams and appendices as well as requirements for heat treatment, manufacture, chemical composition, heat and product analyses, mechanical test requirements arid mechanical properties, test specimens and methods of testing. These specifications are designated by SB numbers and are derived from ASTM ‘B’ specifications. A service section to the other code sections providing material specifications for the chemical composition, mechanical properties, testing requirements and procedures, operating characteristics, and intended uses for welding rods, electrodes & filler metals plus appendices, tables and diagrams. These specifications are designated by SFA or SFB numbers, derived from AWS specifications. This Part merges, into a single volume, tables of design stress values, tensile and yield strength values, and tables of material properties previously included in Sections I, III, VIII Division 1 and VIII Division 2. The publication of Part D is intended to facilitate ready identification of specific materials to specific Sections of the 6~iler and Pressure Vessel Code, and is an editorial reformatting of existing requirements without technical change. Part D contains Appendices which contain criteria for establishing allowable stress, the bases for establishing external pressure charts, and information required for approval of new materials. Provides requirements for the materials, design, fabrication, examination, testing, inspection, installation, certification, stamping, and over-pressure protection of nuclear power plant items such as vessels, concrete reactor vessels and concrete containments, storage tanks, piping systems, pumps, valves, core support structures and component supports for use in or containment of portions of the nuclear power system of any power plant. A nuclear power system as used in this Code, is that system which serves the purpose of producing and controlling an output of thermal energy from nuclear fuel and those associated systems essential to the functions and overall safety of the nuclear power system. The rules of this Section provide requirements for new construction and include consideration of mechanical and thermal stresses due to cyclic operation. Covers minimum safety requirement for design, fabrication, installation and inspection of steam generating boilers and hot water boilers intended for low pressure service that are directly fired by oil, gas, electricity or coal. Examples of methods of calculation and computation, definitions relating to boiler design and welding, and quality control systems are adequately covered. Adopted for service conditions lower than those covered in Section I. Contains requirements and methods for non-destructive examination which are referenced and required by other Code Sections. Also includes manufacturer’s examination responsibilities. duties of Authorized Inspectors and requirements for qualification of personnel, inspection and examination. Examination methods are intended to detect surface and internal discontinuities in materials, welds and fabricated parts and components. A glossary of related terms is included. Covers the latest specifications, terminology, and basic fundamentals applicable to steel and cast iron boilers limited to the operating ranges of Section IV Heating Boilers, includes guidelines for associated controls and automatic fuel burning equipment. Illustrations show typical-examp1es of available equipment. Also includes a glossary of terms commonly associated with boilers, controls, and fuel burning equipment. In order to promote safety in the use of stationary, portable and traction type boilers, this Section provides rules to assist operators of power boilers maintaining their plants as safe as possible. Covers the minimum safety requirements applicable to the construction, design, fabrication and certification of pressure vessels under either internal or external pressure for operation to pressures upto 3000 psig and to vessels having an inside diameter, width, height or cross section diagonal exceeding 6 inches. Specific requirements apply to several classes of material used in pressure vessel construction and fabrication methods such as welded, forged and brazed construction. Covers stamping and non-mandatory appendices detailing supplementary design criteria, nondestructive examination and inspection acceptance standards for the fabrication of vessels. Covers the minimum safety requirements applicable to the construction, design, fabrication and certification of pressure vessels which are used to operate at either internal or external pressures greater than 15 psig. 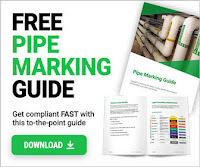 These rules provide an alternative to the minimum construction requirements for the design, fabrication, inspection and certification of pressure vessels within the scope of Division 1, and also for higher pressures over Division 1. In comparison to division 1, division 2 requirements on design, materials and nondestructive examination are strict. Hence. higher design stress value are permitted, resulting in lower thickness. However the saving in material cost may be off set by higher cost towards design and inspection associated with longer shop cycle time. These are newly added rules for vessels of high and very high operating pressures, exceeding 10,000 psig. It was introduced in July 1998. This session Covers rules relating to the qualification of welding and brazing procedures as required by other Code Sections in component manufacture. Also covers rules relating to the qualification and re-qualification of welders, brazers, and welding and brazing operators in order that they may perform welding or brazing as required by other Code Sections in the manufacture of components include a special section of welding and brazing data covering variables, numbers, specimens, graphics, forms and testing methods. This Section covers minimum safety requirements for construction of an FRP pressure vessel in conformance with a manufacturer’s design report. The production, processing, quality control and inspection methods are prescribed to assure the quality of the vessel. These vessels are not permitted to store, handle, or process lethal fluids. General specifications for the glass and resin materials and minimum physical properties for the composite materials are given. These cover guidelines and rules for in-service inspection of Nuclear plant components. Containers for containment of pressure (external or internal), obtained from an external source, or by application of heat (through direct or indirect source), or by combination thereof. ASME Sec. VIII Div 1 covers mandatory requirements specific prohibitions, and non - mandatory guidance for pressure vessel materials, design, fabrication, examination, inspection, testing and certification. i. Those covered by other sections. ii. Pressure containers which are integral parts (or components) of rotating machinery. iv. Pipe fittings, valves, pipe components and other accessories, beyond battery limits. v. Vessels with incident loading of external or internal operating pressure not exceeding 15 psi (No limitations on size). vii. Vessels for pressures exceeding 3000 psi. Process heat generated steam boilers. (b) Weldment of pressure part to non-pressure part. (c) Manhole and hand hole covers - for vessel openings. (d) Sealing surfaces for instruments, gauges, etc. ii. Providing proper certification of materials and construction. Providing applicable design calculations. iii. Establishing a mandatory Quality System. ii. Verification of design calculations. The User shall assure himself that the design, material and construction of the vessel, will be suitable for intended service, with respect to safety, intended performance, retention of satisfactory mechanical properties, and protected from deterioration during the vessel’s intended service life. A relatively high “factor of safety” (previously 4, presently 3.5) is adopted to take care of the incidental material abuse during construction and service. A vessel may be manufactured by any process which shall not unduly impair the inherent material properties or jeopardize the safe, reliable and optimum performance of the vessel. Requirements based on materials adopted and other specifications are referred to in the following clauses of subsection C of the ASME Code Section VIII Division 1. The stress values have been tabulated in the Part ‘0’ of Section II. UCI &UCD- for Cast Iron and Cast Ductile Iron Steels.